While French police are yet to connect the dots in the latest terrorist attack to hit the European country, the truck massacre in Nice demonstrated that encroaching electronic surveillance doesn’t protect from lone wolf attacks, a former MI5 agent told RT. The terrorist attack at a Bastille Day celebration in the sea resort claimed 84 lives and left a hundred people injured when a lone man mowed down a rejoicing crowd with a heavy truck. 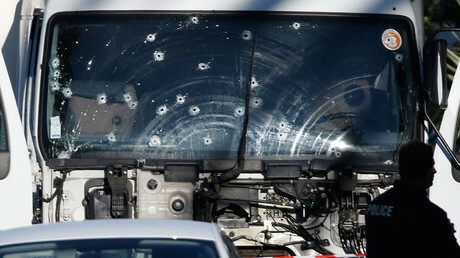 The massacre was one in a series to hit France in the past two years. The apparent security failure indicates that dragnet electronic surveillance cannot substitute more traditional forms of intelligence gathering, particularly human sources, Annie Machon, a former MI5 intelligence officer, told RT. “We have an endemic surveillance state across the West – there is no doubt about it with the Snowden inquiry. And time after time after time we have seen these lone wolf attacks using low-tech weapons – knives or cleavers or lorries [trucks] or whatever. Most of the people committing those crimes have already been on the radar of the intelligence agencies,” she said. “What seems to be the overarching lesson from this is that because the technology is there the NSA and the GCHQ, the two main Anglo-Saxon spy agencies, can grab all this information, they are drowning and they are not targeting the right people,” she added. In the wake of the Charlie Hebdo terrorist attack last year France passed a controversial surveillance law, which was compared to the US Patriot Act for the scope of authority it gave to the police and intelligence agencies. 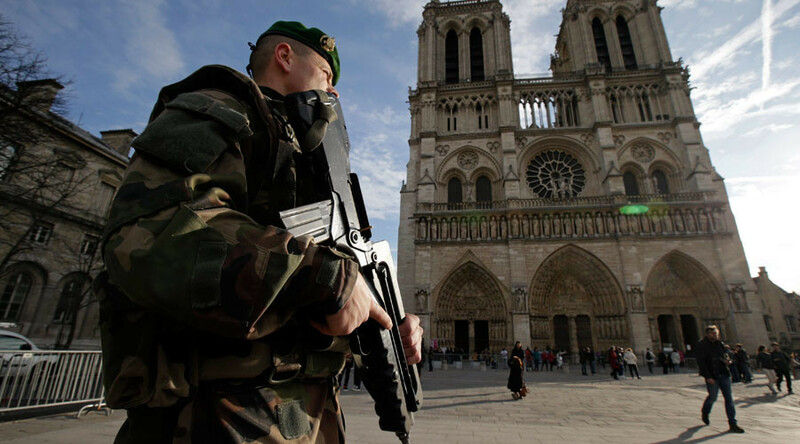 The snooping powers didn’t prevent the Islamic State (IS, formerly ISIS or ISIL) killing spree in Paris in November 2015. An inquiry held after the massacre in the French capital revealed major flows in handling of intelligence by French law enforcement. A similar sentiment was voiced by former Pentagon official Michael Maloof, who said having actionable intelligence is not the same thing as having intelligence. “There is tremendous amount of information flowing. The challenge is to have analysis in order to have actionable intelligence. That means having good sources – human sources. Europe has a particular problem in that the countries are oftentimes do not share intelligence. We have the same problem in the US among our government agencies, but in Europe it’s even more so,” he explained. 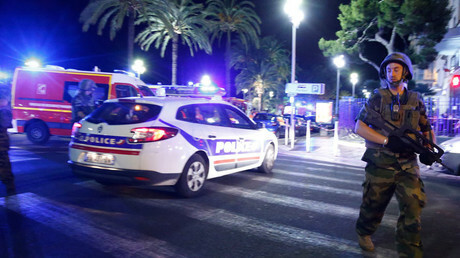 While there was no confirmation that the perpetrator of the Nice attack, who is said to be a French citizen of Tunisian origin, had any jihadist connection, telltale signs like targeting civilians on a date symbolically important for the French people point in that direction. “It was a perfect target for them – in terms of a terrorist attack. They not only hit the French where it hurts the most, but also they exploit the media coverage. They get full coverage and their terrorist activity has the greatest impact,” former FBI agent James Conway told RT. He added that marginalized communities, both established and fueled by the inflow of refugees, are attractive targets for terrorist groups seeking to radicalize people. Addressing that issue is really difficult, he said. Modern-day communication technology poses a new level of challenge for fighting terrorism because increasingly no direct link between known terrorist figures and perpetrators of attacks can be identified in time, said Jack Rice, a former CIA officer. “There was a time when attacks were taking place directly from the likes of ISIL or Al-Qaeda and you could follow the link, you could see what they were doing and there was a command and control structure. What you’re seeing now frequently is attacks based on inspiration, the ability to say: somebody somewhere go and do something terrible,” he told RT.